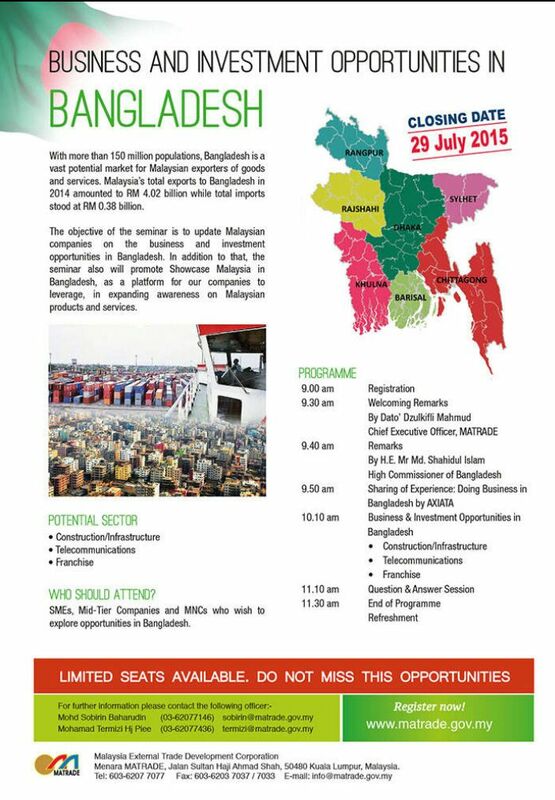 Please be informed that Malaysia External Trade Development Corporation (MATRADE) would like to invite you to participate in the Seminar on Business and Investment opportunities in Bangladesh on 30 July, 2015. The objective of this seminar to update Malaysian companies on the business and investment opportunities in Bangladesh. 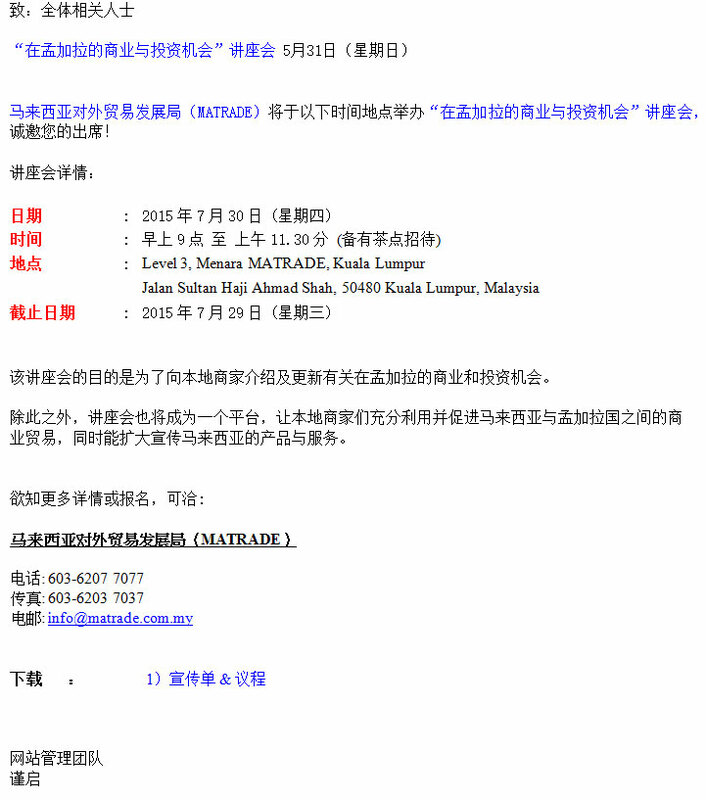 In addition to that, the seminar also will promote showcase Malaysia in Bangladesh, as a platform for our companies to leverage, in expanding awareness on Malaysia products and services.